Honda has unveiled its new Civic Hatchback ahead of the car’s world debut September 29 at the 2016 Paris auto show. The car is based on Honda’s 10th-generation Civic platform and will be sold in the United States. All versions will come from the United Kingdom, though, as the car is being assembled exclusively at Honda’s Swindon plant. It will join the related Civic Sedan and Civic Coupe in local showrooms in the fall of 2016, arriving as a 2017 model. It will be the first Civic Hatchback offered in the U.S. since the seventh-generation model early last decade. Honda has already confirmed the car will be available in LX, Sport, EX, EX-L, and Sport Touring trims, and will feature a single engine at launch, albeit with two outputs. The engine is the turbocharged 1.5-liter inline-4 already found in the Civic Sedan and Civic Coupe. It will deliver 174 horsepower and 162 pound-feet of torque in LX, EX and EX-L trim, and 180 hp and 162 lb-ft in Sport and Sport Touring trim. The latter is distinguished by a center-mounted exhaust. Eventually, some sportier options will be added. 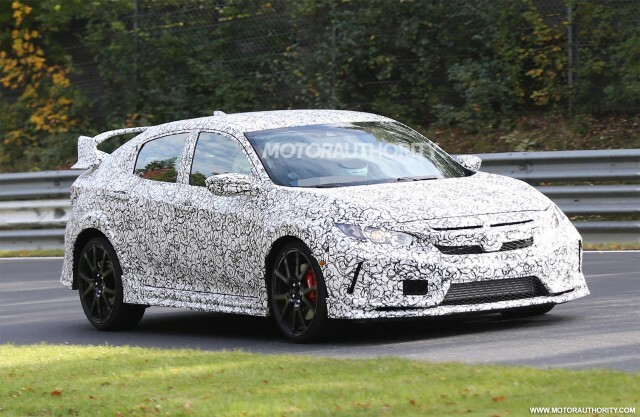 Honda is working on new Si and Type R models. They are expected to come with a turbocharged 2.0-liter inline-4 based on a similar unit fitted to the outgoing Type R, which is rated at 305 hp. It’s thought that a concept previewing the new Type R will also be shown in Paris. Drive is to the front wheels only but buyers have the choice of a 6-speed manual or CVT. Anticipated EPA-rated fuel economy is an impressive 31 mpg city, 40 highway and 34 combined. The cabin design is lifted straight out of the Civic Sedan and Civic Coupe. 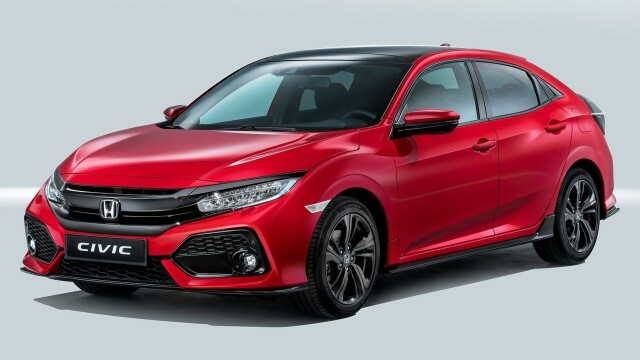 In terms of packaging, the Civic Hatchback will offer generous volume and cargo capacity, including up to 36.0 inches of rear legroom and one of the largest cargo carrying capacity in the compact class. There will also be some handy tech such as smartphone integration, fuel-saving electronic power steering, hill start assist, and the Honda Sensing suite of electronic driver aids. The list includes Collision Mitigation Braking, Road Departure Mitigation and Adaptive Cruise Control with Low-Speed Follow traffic crawling. Pricing hasn’t been announced but should start close to the $19,475 starting price of the Civic Sedan. Next › Ep. 107: Are the Sidelines a Place for a Parent With Two Kids Strapped to Them? Catch AC's Daniel and Florence on this week's All About Android!